Modern WordPress themes fastest, clean and responsive WordPress themes. 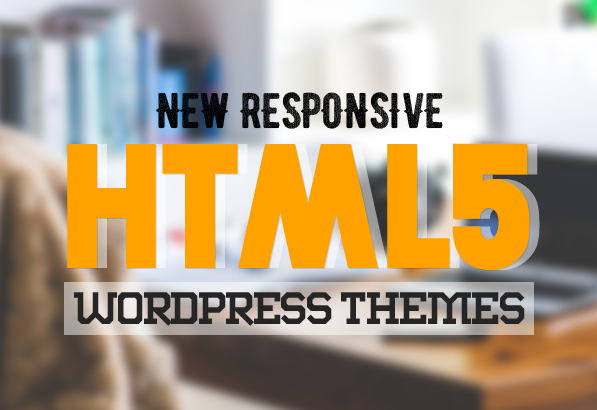 HTML5 coded and SEO ready themes. Html5 templates and themes can be used for any personal or business needs to easy create and launch your WordPress based website, blog or magazine in 2 minutes. All themes are well optimized for all devices from desktop to tablets and smartphones. In addition, the themes are very flexible with unlimited color variations and highly customizable layout, even for each category. Dozens of configurable options and all of this you can manage with 1 click of your mouse in our advanced user friendly Piemont Control Panel. Amazing HTML5 WordPress themes are perfect for creative design agency, portfolio, SEO analytic, financial adviser and stock brokers, technologies research and production, scientific research, travel and logistics, business trends, market jobs and eCommerce websites. The modern design and strong typography makes CORPOTERA the perfect WordPress Theme for any business website. Oreades is a Modern and Creative premium WordPress Theme. Design Theme is made in a beautiful style. It is suitable for Personal Portfolio, Creative Agency, Designer Portfolio, Illustrator Portfolio, Photographer Portfolio and more.Theme has a universal design, it thought every detail and animation effect. Its just as easy to customize to fit your needs, replace images and texts. Spiral is taking advantage of latest technology, big screens, and touch features. All the elements are big, with big margins to make them work on touch and look great across all screen sizes. Clear section structure makes it easy to find and differentiate the elements. Theme is designed for all lovers of bright material design! Universal theme suitable for corporate websites, online stores, personal portfolio, agencies, start-ups and many others. Leman WordPress Theme is a modern and clean e-commerce WordPress Theme. It’s coded keeping in mind most of widely used e-commerce platforms. NINE is All-in-one, Multipurpose and Retina Theme! NINE consists of multiple amazing and unique pre-designed demo content.Our Theme is fully responsive and easily customizable, making it pleasant to work with. NINE comes in 9 different color schemes 9 Design styles and 9 different templates. Vossen WordPress theme is Clean, fully responsive, parallax and easy to customize. It looks amazing on all types of screens and devices. Nexus is a premium WordPress theme, that is suitable for every business, in every way. It’s responsive, retina ready, clean, fully charged and handcrafted with much love. It comes with a lot of packaged plugins that you don’t need to pay for, once you have bought the theme, you will get all of these plugins for free. new Multipurpose Business WordPress Theme “ Octopus – Multipurpose Business WordPress Theme” Octopus is a Modern Multipurpose Business WordPress Theme suitable for any type of website, personal, business or corporate use. With a perfect and impress design, Octopus comes to customers with a modern look, eye catching and friendly. Capitol is a Creative Multi-Purpose WordPress Theme with clean and flexible design and incredible features. Built for the latest web trends, Capitol gives you the power to create any kind of website for any industry. Capitol is perfect for any skill level. Monaco is light and bright multi-purpose WordPress Theme which is follows the trendy design and combination of pure elegance. It is slightly inspired by vintage style, Monaco stresses in simplication but user-friendly approach. The theme provides you 12 beautiful homepage layouts which are suitable for different purposes.